It’s a new year, and that means, new trends in kitchen design! Nearly 75 percent of respondents are interested in smart appliances that will help reduce food waste. 75 percent of respondents want smart appliances that can help manage water usage. 78 percent of respondents want their smart appliances to save money. 64 percent of respondents want appliances to reduce their utility costs. 69 percent of respondents want appliances that can provide personalized service. The Whirlpool survey reflects trends expected in 2019. New kitchens and baths will continue to offer the best of both form and function. We are seeing growing demand amongst our clientele for kitchens that are not only beautiful but will also contribute to a healthier lifestyle. On many clients’ wish lists are appliances that produce healthier food. That helps to explain the growing popularity of convection steam ovens or combination steam and microwaves that are often specified when space is at a premium. Undercounter refrigerated drawers are another appliance that contributes to a healthier lifestyle. Many of our clients are attracted to refrigerated drawers to store fruits and vegetables, which promote healthier snacks and also can help reduce the time required for meal preparation, especially when the drawers are in an island. Water filtration faucets and systems help assure that water used for cooking, drinking and bathing is chemical free. Smart, connected appliances that include ovens, refrigerators, dishwashers, washing machines, clothes dryers and even coffee makers that can order pods on demand are popping up in kitchens nationwide with the goal to provide owners with more time and convenience. Lighting is continuing to evolve through technological advancements and creative design applications. Given that the kitchen is the most important room in the home, a well-designed kitchen is a well-lit kitchen, providing layers of light for setting the mood, performing tasks and providing ambiance. In-drawer and cabinet lighting are expected to continue to increase in popularity, and the range of pendants, chandeliers and other fixtures provide a blank canvas for our customers to make unique design statements. 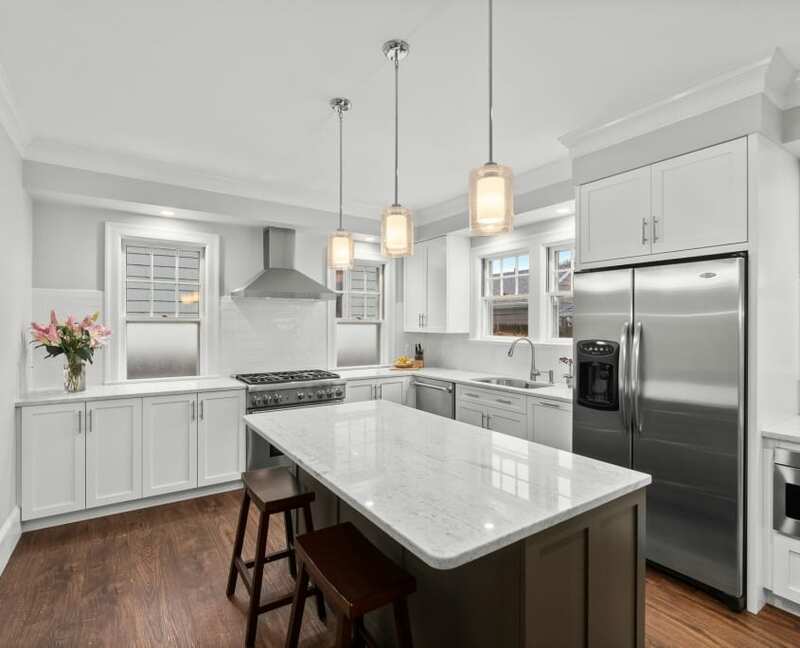 If you resolved this year to improve your health, enhance your lifestyle or reward yourself for the hard work that you put in every day, we could help you achieve those goals by designing a dream kitchen that exceeds your wildest expectations. Give us a call at 401-463-1550 or visit our showroom at 139 Jefferson Boulevard, Warwick, RI to explore how you can make 2019 extraordinarily special for you and your family.